A commercial Cygnus supply freighter set for launch Monday will transport a motley mix of experiments to the International Space Station, helping scientists engaged in a range of research disciplines from studying the birth of the solar system to helping astronauts survive marathon missions in space. Materials carried aboard the Cygnus supply ship include a high-resolution camera to detect meteors from the space station, a study to measure blood flow from the brain to the heart in astronauts, and an array of experiments from grade school and university students, officials said Sunday. About one-third of the nearly 5,000 pounds of cargo stowed inside the craft’s pressurized cabin will go toward scientific endeavors, according to Camille Alleyne, NASA’s assistant space station program scientist. The rest of the supplies will sustain the space station and its crew with spare parts, tools, food, clothes and other essential gear. 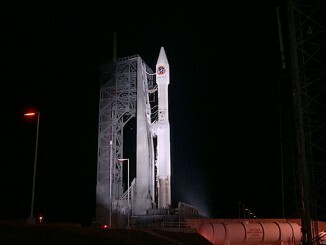 Owned and operated by Orbital Sciences Corp., the Cygnus spacecraft is set for launch at 6:45 p.m. EDT (2245 GMT) from the Mid-Atlantic Regional Spaceport at Wallops Island, Va. 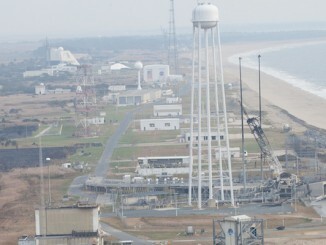 The unpiloted cargo carrier will take off on top of Orbital’s expendable two-stage Antares rocket. Named SS Deke Slayton in honor of the Mercury astronaut, Cygnus is due to arrive at the space station Nov. 2 after an automated laser-guided final approach. Its docking with the space station will punctuate a busy week of comings-and-goings at the outpost. A commercial Dragon cargo spacecraft operated by SpaceX departed the space station Saturday and splashed down in the Pacific Ocean, returning more than 1.6 tons of research specimens and hardware items to Earth for analysis and refurbishment. Russia’s Progress M-24M supply ship was scheduled to undock from the space station early Monday with trash tagged for disposal during a destructive re-entry over the Pacific Ocean, just as another Progress logistics vehicle was readied for rollout to a launch pad in Kazakhstan for liftoff Wednesday in pursuit of the complex. Once the next Progress spacecraft docks to the station a few hours after its launch Wednesday, Orbital’s Cygnus spacecraft will be cleared to rendezvous with the orbiting research laboratory. 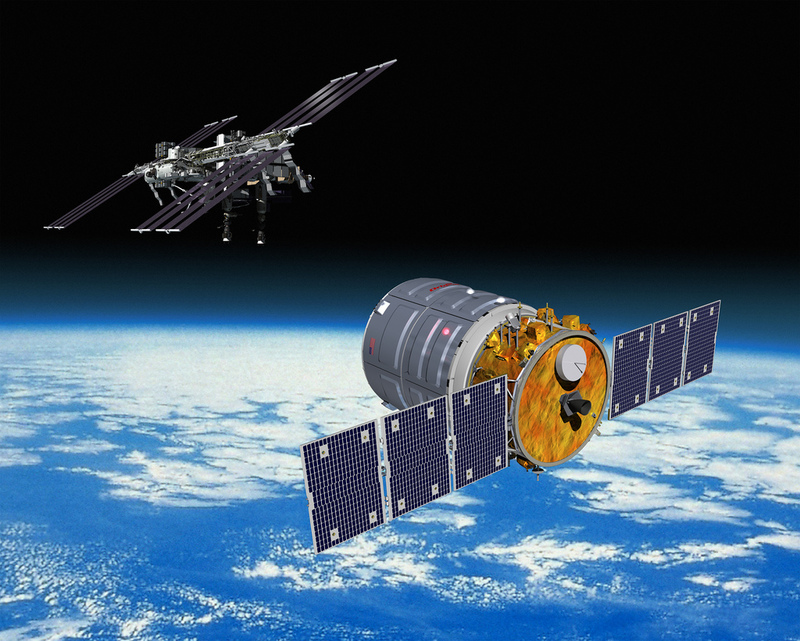 Artist’s concept of a Cygnus supply spacecraft approaching the International Space Station. Credit: Orbital Sciences Corp. The series of four arrivals and departures in eight days represents a particularly busy period for traffic at the space station, but officials said a regular cadence of resupply missions is indicative of the station’s scientific utility. Unmanned supply ships from Orbital and SpaceX, along with the international ATV and HTV spacecraft from Europe and Japan, collectively replace much of the cargo capacity lost with the retirement of the space shuttle. 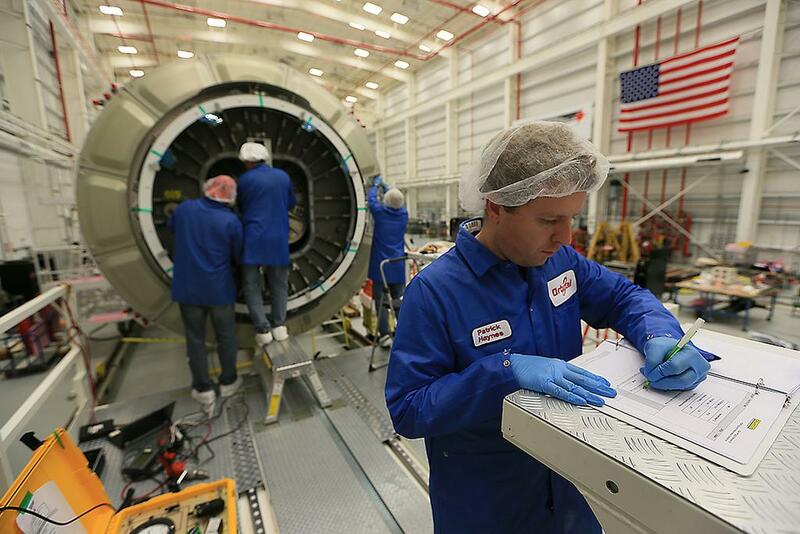 Monday’s launch is the third operational resupply flight to the space station managed by Orbital Sciences. Known as Orb-3, the mission will be the ninth commercial cargo delivery by Orbital and SpaceX, including demonstration flights. 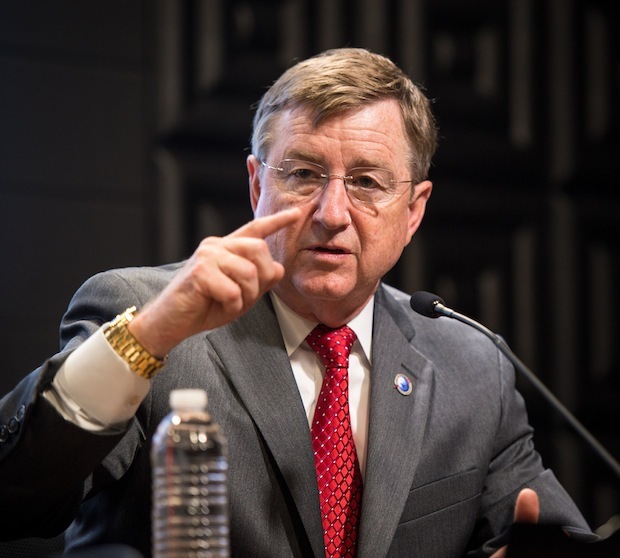 “It’s gratifying to see it all going so well,” said Culbertson, who lived on the space station for four months in 2001. Once the Cygnus mission gets to the station Nov. 2, astronauts will open hatches leading to the spacecraft’s pressurized cargo module — built by Thales Alenia Space in Italy — and unpack its contents. The cargo load features more than two dozen small CubeSats for deployment outside the space station, a Japanese experiment to gauge the performance of materials in space for future use on solar sails, and investigate the impact of space travel on the human immune system. Astronauts will mount a camera system from the Southwest Research Institute on an Earth-facing window in the space station’s Destiny laboratory to look at meteors streaking through the atmosphere below. The experiment will mark the first detailed space-based observations of meteors from space. A contribution from the Italian Space Agency, or ASI, will study the blood flow between the brain and heart in microgravity. A special neck collar worn crew space station crew members will collect the data. 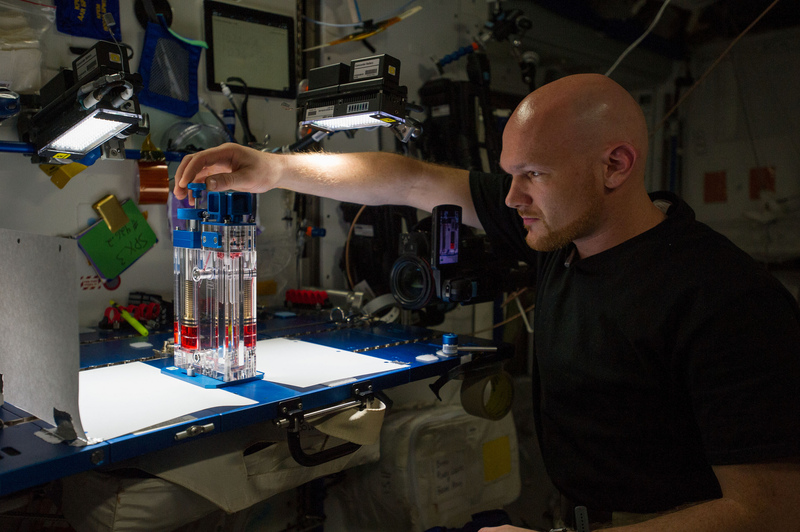 “Understanding this blood flow makes it possible for researchers to develop countermeasures to treat headaches and other neurological symptoms that have been reported by crew members living on the space station,” Alleyne said. The experiment, dubbed Drain Brain, could also help doctors on the ground develop screening tests for cognitive disorders like Alzheimer’s disease, according to Alleyne. Technicians loaded last-mnute cargo into the Cygnus spacecraft last week. 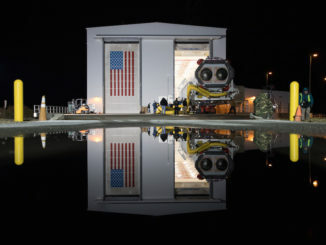 Credit: Orbital Sciences Corp.
Eighteen student teams from California, Louisiana, Michigan, Missouri, New Jersey, New York, South Carolina, Tennessee, Texas, Washington, D.C., and British Columbia also have payloads launching Monday. Ranging from fourth-graders to college juniors, the students worked on experiments involving the growth of bacteria and crystals, the development of mosquitos in microgravity, the response of shrimp to space, and the effectiveness of composting in orbit. The students also provided payloads with soybean seeds and chia plants to measure how their behavior changes in space. The student payloads are managed by the Student Spaceflight Experiments Program, a non-profit which partners with private sector financial backers, including the Center for the Advancement of Science in Space and Subaru of America Inc. Items aboard the Cygnus spacecraft’s Orb-3 mission needed for upkeep of the space station include a high-pressure nitrogen tank designed to help revitalize the air inside the complex, keeping the atmosphere similar to Earth’s. The nitrogen — stored at 6,000 psi inside a high-pressure gas tank — will be transferred to reservoirs outside the space station’s Quest airlock. A jetpack that could be used to rescue an astronaut who got detached from the space station during a spacewalk is also inside the Cygnus spaceship, along with a data recorder to be packed inside a European Space Agency Automated Transfer Vehicle when it burns up in Earth’s atmosphere early next year. Provided by the Aerospace Corp., the data recorder will measure the conditions the ATV encounters as it falls back to Earth, then transmit its findings back to engineers via satellite before hitting the ocean. NASA and ESA officials are devising a special re-entry plan for the end of the ATV mission to gather data and prepare for the destruction of the space station itself when it concludes its operational lifetime some time in the 2020s.